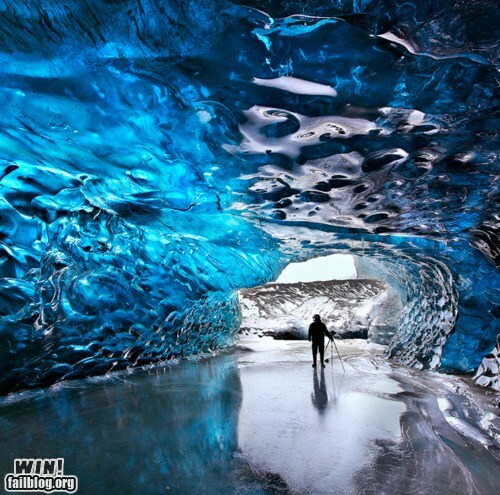 This naturally occurring ice cave found in Iceland is awesome, why can’t the snow in Doncaster form such loveliness? This entry was posted on Tuesday, February 7th, 2012 at 13:12	and posted in Other. You can follow any responses to this entry through the RSS 2.0 feed.